Jeff began as an assistant coordinator and 'apprentice dj' to Mark Peace thomas on Valentine's day, 2000. His background was with mixing with turntables but he quickly adjusted to Professional Compact Disc Units and now he has moved forward and mastered digital mixing with a computer. Jeff has developed a reputation for his ability to mix different genres of music seamlessly. 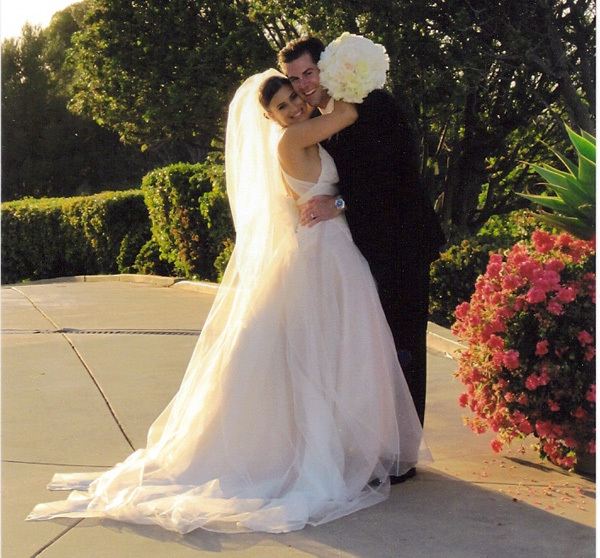 Jeff is known for his ability to manage each event with a friendly attitude toward all vendors and guests. His easy-going personality with the ability to interact tastefully with all ages makes him one of our most popular and most referred entertainers. 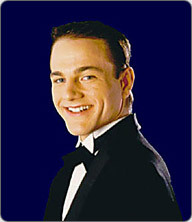 Jeff was active with an improv group in Burbank, CA, known as The Improviders. The Improviders experience helps Jeff handle unexpected situations efficiently and with humor. He is active with equity-waiver productions and is comfortable in front of an audience. Jeff spent the last half of 2004 working as a disc jockey and cruise staff member for GALAXY CRUISES, but he prefers dry land and being close to his friends and family. 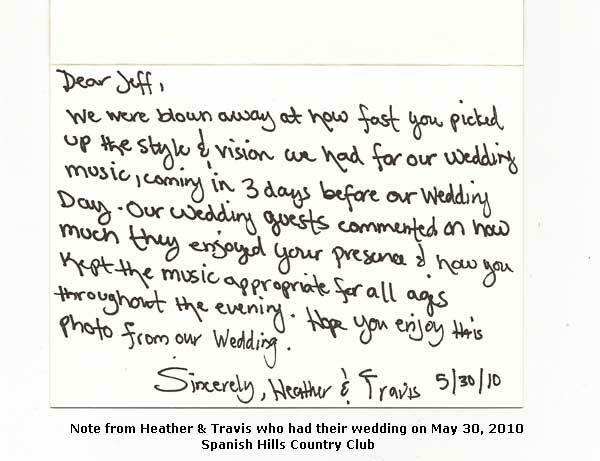 Jeff continues to receive rave reviews from clients and wedding vendors alike with over a decade of successful events under his belt. These are just a few of the comments we've received for Jeff. We have additional feedback in our office. References availalbe by request. Jeff was handling the audio-visual needs at Riviera Country Club's seminar room featuring celebrity event designer and producer: Diann Valentine. The bridal event was held in Pacific Palisades, California on April 06, 2008. 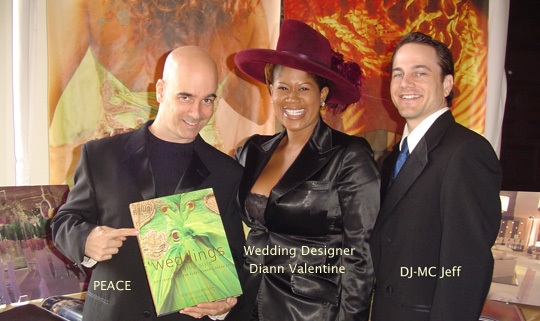 You can buy her wonderful book: Weddings - Valentine Style at the bookstore online at: Wedding Warehouse or anywhere books are sold. © 2003-2017 Awesome Entertainment, Inc. All rights reserved. DJ Jeff DiDomenico is available throughout California including: Modesto, San Francisco, Los Angeles, Orange County, Pasadena, Burbank, Beverly Hills, West Los Angeles or West L.A., Irvine, Dana Point, San Diego, Palm Springs, Phoenix, Arizona, Las Vegas, Nevada.